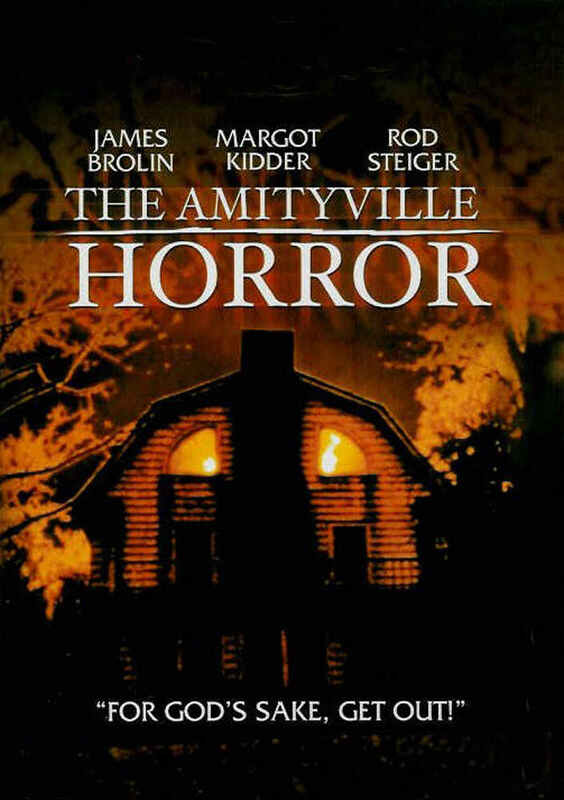 The Amityville Horror is a 2005 remake of the 1979 horror film which itself was based on a novel of the same name by Jay Anson. The film chronicles the life of George and Kathy Lutz and their family after they move into a haunted house on Long Island. The house at 412 Ocean Ave. was previously the grizzly scene of a mass homicide committed by Ronald (Ronnie) DeFeo, Jr. who murdered six members of his family on November 19, 1974. Despite the 1979 film being a traditional “haunted house story,” we learn that The Amityville Horror is about demonic possession when Kathy researches microfiche and discovers “voices told him (Ronnie Defeo) to do it.” After moving into the basement, he “killed them all” just 28 days later (a timeframe also forecasted in Richard Kelly’s 2001 film, Donnie Darko). The movie also references The Shining and Hellraiser (1987) when Kathy discovers that Native Americans were tortured (there are pictures of Clive Barker-esque torture) in a secret room in the basement. The torturer suicided by slitting his throat so that his presence would live forever, thus explaining the spirit possession of George’s body. At Rutgers Robert Wood Johnson Medical School, the first module, Necromancy, of our year- long resident Psychopathology course incorporates ghosts (wraiths) and demons. Tales of demonic possession serve to reinforce teaching points of chronic and persistent illnesses. Movies about demonic possession may therefore be metaphorically interpreted as case studies of psychosis. In The Conjuring, the Warrens ended the movie with the discovery of a new haunted house; one we now also investigate from an educational perspective. The scene of “the DeFeo murders” in Amityville is haunted by the ghosts of the victims. We learn that Chelsea, the youngest daughter of the Lutzes, has an imaginary friend, Jodie. Similar to Stephen King’s The Shining, our provisional thought is that this is developmentally appropriate. However, like Danny Torrence, Chelsea’s behavior becomes maladaptive, and her perceptual disturbances are ultimately deemed not to be age-appropriate. In one scene, we visit the archetypal warning of inappropriate conduct when supervising children; the “bad babysitter.” This archetype – which we will revisit in Scream, Halloween, and Friday the 13th ‘ is a prosocial warning that is violated by Lisa, who is attacked by Jodie and rendered catatonic. In the 2005 film, a review of systems (ROS) reveals George to be experiencing coughing, nausea, and vomiting. Anytime an individual manifests respiratory and GI symptoms, alpha-1 anti-trypsin deficiency must be considered in the differential diagnosis. Since it’s new-onset, George’s alpha-1 anti-trypsin deficiency is likely acquired. Might The Amityville Horror be about psychosis secondary to alpha-1 anti-trypsin deficiency? One potential etiology of acquired alpha-1 anti-trypsin deficiency is hypergammaglobulinemia. George’s psychotic behavior may have resulted from being exposed to mold (seen throughout the house) with an impaired immune system (due to hypergammaglobulinemia). An additional biological theory of George’s psychotic symptoms is sarcoidosis. This autoimmune disease is characterized by lung granulomas, giving rise to pulmonary symptoms, as well as hypercalcemia which would explain his GI and psychiatric symptoms. In the original (1979) film, emphasis is placed on George’s struggle with his faith, perhaps a predisposing factor of his psychosis. In a stress-diathesis model, his psychotic break results from the precipitant of his move to a house that is the scene of the infamous DeFeo murders.